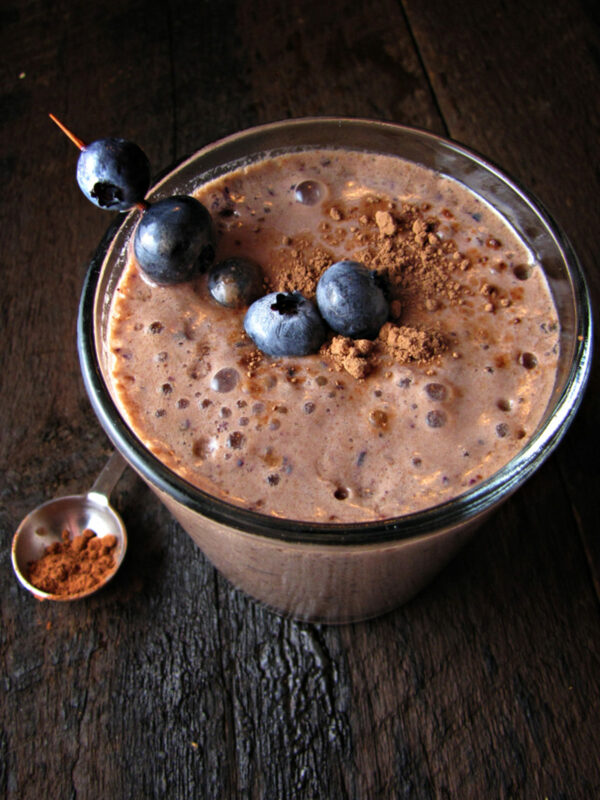 This Creamy Chocolate Blueberry Shake is decadent, packed with superfoods, and totally naturally sweetened! Enjoy it for breakfast topped with granola or as an afternoon snack. Vegan and gluten-free. Blend all ingredients EXCEPT ice, when ingredients are blended, add the ice and blend until ice is crushed.